We now have a new Combo offering one Gluten Free Honey Cake and one package of Gluten Free Honey Nuggets delivered for one low shipping cost. We have a new Combo offering one Gluten Free Honey Cake and one package of Gluten Free Honey Nuggets delivered for one low shipping cost. 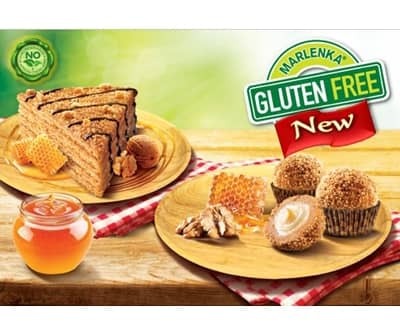 Classic Marlenka® Honey Cakes and Nuggets are delicious all natural honey and nut desserts made according to an old Armenian family recipe. Thanks to their unique, rich taste and texture they have quickly become a favorite delicacy in many European countries. Enjoy these delicious desserts with a cup of tea, coffee or chai latte.